This tool is very useful for doing math and science studies. 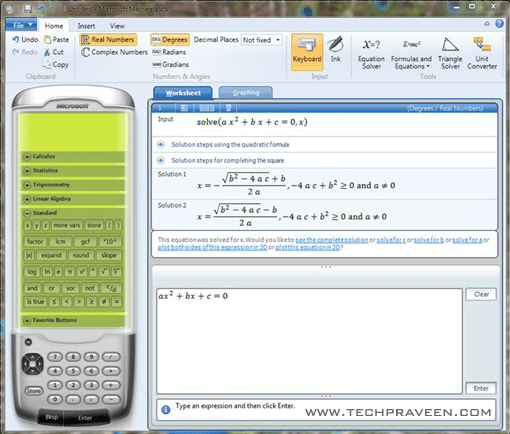 🙂 .It is designed to offer users a graphing calculator capable of plotting both in 2D and 3D, but also offering equation solving capabilities along with step-by-step instructions of the process. Really nice tool for MS office. It will help math students more.